We’re proud to announce that we will be attending ACHEMA 2018, the world forum and leading tradeshow for the process industries, from June 11 through June 15. The show will be held in Frankfurt am Main, Germany and we will be on hand in Hall 11.0 at booth E44 to highlight ProComSol’s diverse products and services. Let’s take a moment to look at full details on the tradeshow as well as all ProComSol will be able to showcase for customers. ACHEMA prides itself on being a central meeting point for those in the process industries, providing an international network of experts and executives a space for investment opportunities and key insights on innovations happening within the field. Perspectives 2018: Digitization – What About People? As you can see, there will be plenty for attendees to take part in at ACHEMA 2018. For a full list of exhibitors and products, be sure to visit ACHEMA’s convenient exhibitor search. At this year’s ACHEMA tradeshow, you’ll be able to find ProComSol’s team in Hall 11.0 at booth E44. 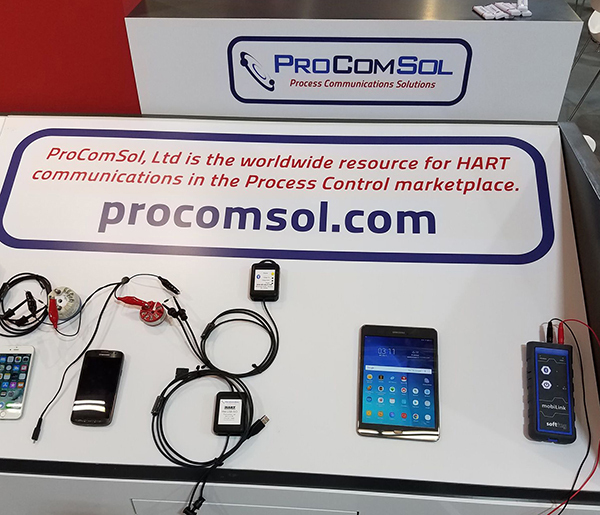 There, you’ll be able to speak to our team and find out all about ProComSol’s diverse product line and accessories for HART communicators. Prior to the event, you can visit our products page for an overview of the product line as well. For full details and specs, consult our website, or be sure to speak with one of our reps if you’re at ACHEMA 2018. Have questions for us about ACHEMA 2018 or any of our products? Reach out to ProComSol today and we’ll help you any way we can.